In today’s threat environment, rapid communication of pertinent threat information is vital to quickly detecting, responding and containing targeted attacks. The key to improving an organizations reaction time is a workflow and set of tools that allows threat information to be analyzed and actionable results communicated across the organization rapidly. 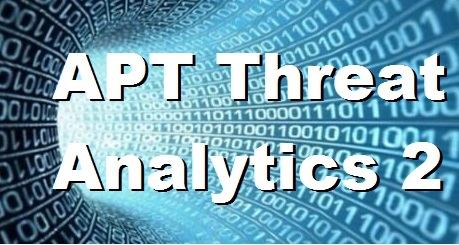 In this APT Threat Analytics – Part 2 blog, we will discuss the options for threat intelligence collaboration and sharing together with a current snapshot of the available tools and standards/developments to help determine whether your organization can benefit from an emerging dedicated in-house threat intelligence program. Given the escalating threat landscape, improving threat detection is key for most organizations, specifically developing an intelligence-driven approach. 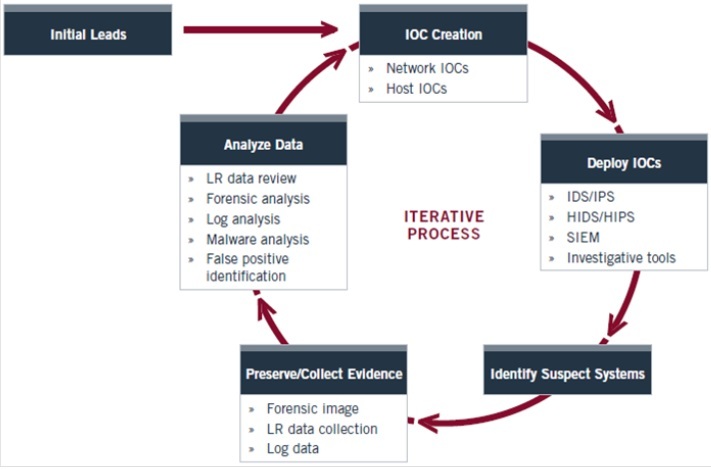 This requires collecting and consolidating threat intelligence data from internal sources (e.g. systems and applications) and external sources (e.g. 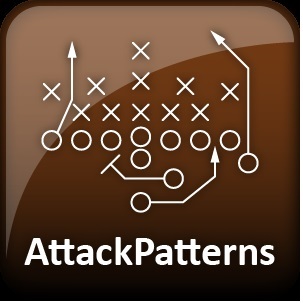 government or commercial threat feeds) and using analytics to spot attack indicators or anomalous behavior patterns. The core team should have the capabilities to achieve good visibility and situational awareness across the organization. With the increase in advanced, multidimensional threats, organizations can no longer depend solely on existing automated perimeter gateway tools to weed out malicious activity. More and more organizations are considering development of an in-house threat intelligence program, dedicating staff and other resources to network baselines, anomaly detection, deep inspection and, correlation of network and application data and activity. With the advanced, blended, multidimensional, targeted cyber attacks being levied today, your organization still needs an experienced set of human eyes analyzing data collected —not to mention its reputation. Performing in-house threat intelligence need not be complex or expensive. Such a program can be as simple as IT staff being trained to pay closer attention to data. In other cases, threat intelligence might mean having a team of people performing deep content inspection and forensics on a full-time basis. 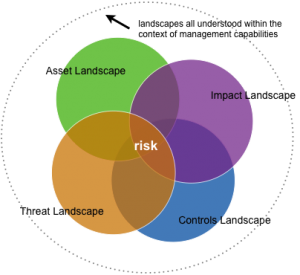 Where an organization falls in that range depends on various factors such as critical assets/data, risk tolerance, core competency, and so on. The organization may elect a DIY in-house model or a co-sourced partner. 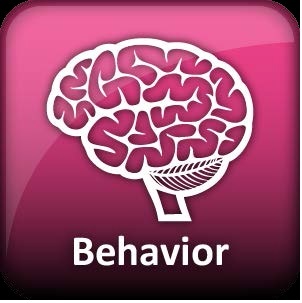 Pay attention to log data and to correlate that data with a known baseline of how users interact with data, applications and servers. With all of this data at an analyst’s fingertips, organizations can recognize the subtle anomalies that may indicate an attack—the main goal of your threat intelligence effort. For more information see the forthcoming blog: APT Anomaly Detection as well as the new NG Security Operations (SoC V2) series. What would constitute a subtle anomaly? One example is inappropriate remote access to critical servers in your environment. Many organizations don’t bother to actively audit remote desktop access to critical servers, but what if out of the blue you detect repeated Remote Desktop Protocol (RDP) sessions and failed logins to a domain controller from a new system in your environment? Your gateway tools won’t help here, and this activity would certainly warrant investigation because it could indicate the beginning (or middle) of an advanced persistent threat (APT). There are a few major hurdles when it comes to performing comprehensive cyber threat intelligence (CTI) in-house. Organizations need a core set of security tools to provide the essential foundational elements for performing threat intelligence. They should certainly consider leveraging external sources and service providers to fill in gaps in their defenses. Incident Object Description and Exchange Format (IODEF) is a standard defined by Request For Comments (RFC) 5070. 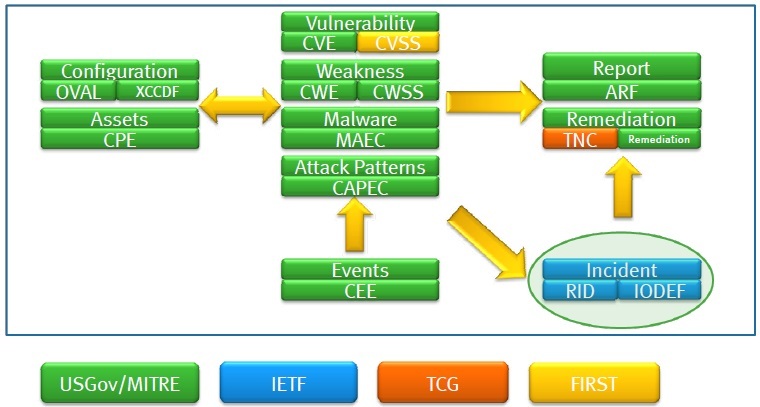 IODEF is an XML based standard used to share incident information by Computer Security Incident Response Teams (CSIRTs). The IODEF Data Model includes over 30 classes and sub classes used to define incident data. OpenIOC was introduced by Mandiant. It is used in Mandiant products and tools such as RedLine, but has also been released as an open standard. OpenIOC provides definitions for specific technical details including over 500 indicator terms. 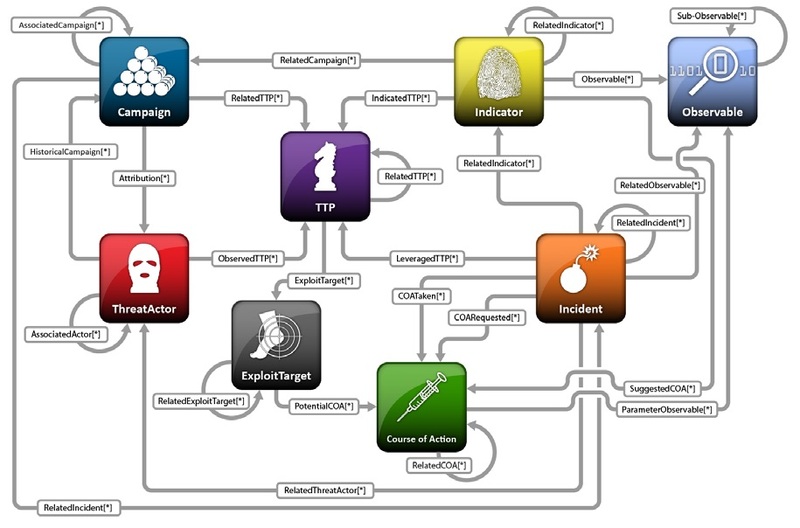 It is an XML-based standardized format for sharing Threat Indicators. The Vocabulary for Event Recording and Incident Sharing (VERIS) framework was released by Verizon in March of 2010. As the name implies VERIS provides a standard way for defining and sharing incident information. VERIS is an open and free set of metrics designed to provide a common language for describing security incidents (or threats) in a structured and repeatable manner. and stores threat intelligence data. Data can be IP addresses, ASN numbers, email addresses, domain names and uniform resource locators (URLs) and other attributes. 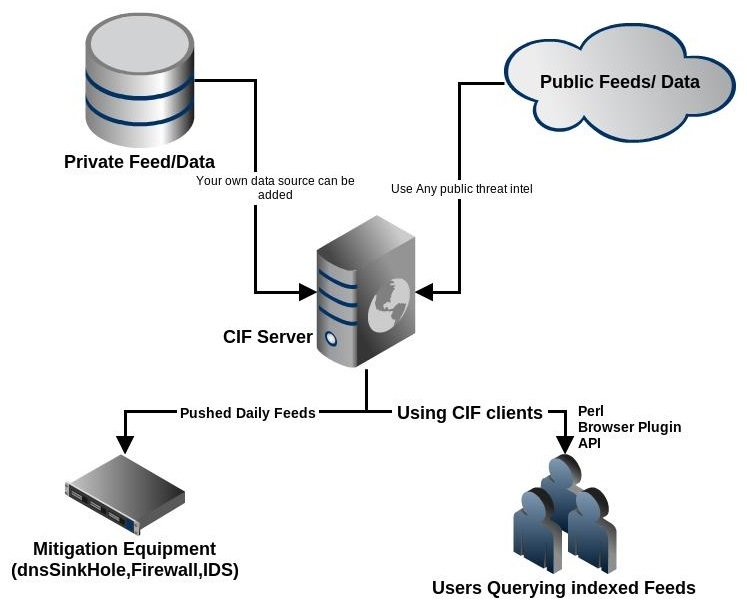 The data can be accessed via various client programs. CybOX is used for defining details regarding measurable events and stateful properties. The objects that can be defined in CybOX can be used in higher level schemas like STIX. The goal of CybOX is to enable the ability to automate sharing of security information such as CTI. It does this by providing over 70 defined objects that can be used to define measurable events or stateful properties. Examples of objects are File, HTTP Session, Mutex, Network Connection, Network Flow and X509 Certificate. It uses XML to define threat related constructs such as campaign, exploit target, incident, indicator, threat actor and TTP. Open Threat Exchange (OTX) is a publicly available service created by Alien Vault for sharing threat data. AV-OTX cleanses aggregates, validates and publishes threat data streaming in from a broad range of security devices across a community of more than 18,000 OSSIM and Alien Vault deployments. OTX is a centralized system for collecting threat intelligence. It is provided by AlienVault and interoperates with their Open Source SIEM (OSSIM) system, where SIEM is Security Event and Information Management. OSSIM is free to use. OSSIM users can configure their system to upload their threat data to OTX. The Managed Incident Lightweight Exchange (MILE) Working Group is working on standards for exchanging incident data. The group works on the data format to define indicators and incidents. It also works on standards for exchanging data. This group has defined a package of standards for threat intelligence which includes Incident Object Description and Exchange Format (IODEF), IODEF for Structured Cyber Security Information (IODEFSCI) and Real-time Inter-network Defense (RID). The Traffic Light Protocol (TLP) is a very straight forward and simple protocol. TLP is used to control what can be done with shared information. Shared information is tagged with one of four colors white, green, amber or red. The color designates what can be done with the shared information. Information tagged white can be distributed without restriction. Information tagged green can be shared within the sector or community, but not publicly. Information tagged amber may only be shared with members of their own organization. Information tagged red may not be shared. Given its simplicity TLP can be used verbally, with email or incorporated in to an overall system. The simplest way to mine threat intelligence is to leverage the information already on your systems and networks. Many organizations don’t fully mine logs from their perimeter devices and public-facing web servers for threat intelligence. For instance, organizations could review access logs from their web servers and look for connections coming from particular countries or IP addresses that could indicate reconnaissance activity. Or they could set up alerts when employees with privileged access to high-value systems attract unusual amounts of traffic, which could then be correlated with other indicators of threat activity to uncover signs of impending spear-phishing attacks. Many of the standards are a good fit for organizations with specific needs. If an organization wants to share incident data and be part of the analysis of a broad data set, then VERIS would be the best choice. If an organization wants to share indicator details in a completely public system, then OTX would be a reasonable choice. If an organization is using tools that support OpenIOC, then of course OpenIOC would be the best choice. If an organization is looking for a package of industry standards then the MILE package (IODEF, IODEF-SCI, RID) or the Mitre package (CybOX, STIX, TAXII) would be suitable. Both have the capability to represent a broad array of data and support sharing of that data. As a recipe for success it is important to start small, start simple, prototype and evolve as organizations gain confidence and familiarity and grow the threat sources, communication and collaboration – so that there is valid data, analysis and, actionable results. Focus on and validate the process. In future parts we will delve further with some practical use cases containing examples and implementations, review external feed sources (pros and cons), discuss triage, building context, validation of data, and performing analysis as well as discuss the development of organization threat profiles based on risk management process. In addition, we will be publishing the APT Anomaly Detection blog that complements this work using network flows to baseline a network and detect anomalous activity, so that there isn’t reliance on just one methodology. We will also kick-off the Next Generation Security Operations series that seeks to tie all of the APT Series threads into a holistic architecture and defensive strategy (SoC V2).